Last weekend, we moved Dylan and Archie into the same room (which so far has been a success), meaning we have a nice empty room waiting for Pretzel's arrival next year. With Archie still being small, his cot and furniture has moved with him, meaning the room is literally empty (or will be once we stop storing 'stuff' in there, and we have a nursery to prepare. We know that bump will be a boy but with him being our third, I am actively avoiding baby blue as far as possible. We have chosen a relatively neutral theme, of grey, white and yellow and once Christmas is out the way, I can't wait to get decorating! I want the nursery to be simple and relaxing, but bright at the same time. I need everything to be practical and I have learnt after two others what to prioritise. 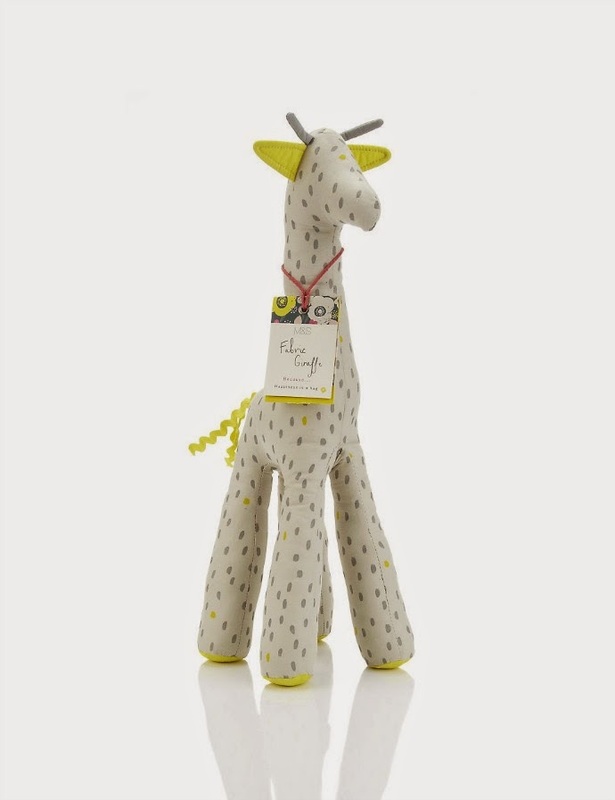 Marks and Spencers have a new baby section on their website with some great nursery inspiration - This fabric giraffe would go perfectly in Pretzel's new room. Choose a theme that is calming as for the first few months all your baby will do is sleep in there. A nursing chair was an essential for me, and I am glad I went for something comfy as I have done my fair share of nightfeeds! It has grown with us as I still use it with my toddlers for reading stories and having cuddles. The advice now is to sleep baby in your room for the first six months, and so we have always had a crib in our room and the cot ready for baby in the nursery. If you use a moses basket, you can help transition baby by putting the moses basket in the cot to get them used to their room. Books make a lovely addition to a nursery, either on a bookcase if you have space, or a little shelf on the wall if the nursery is more compact. Going for neutral walls and floors and adding hints of colour through accessories and pictures makes the room easy to adapt for a toddler and older child without too much trouble. Although mine didn't sleep in their own room for a few months after birth, having as much of it done as possible before baby arrives makes life much easier, as trying to decorate with a newborn around is pretty tough! That giraffe is sooo cute! Oh! That DEAR little giraffe! Yellow, white and grey is my favourite colour scheme.